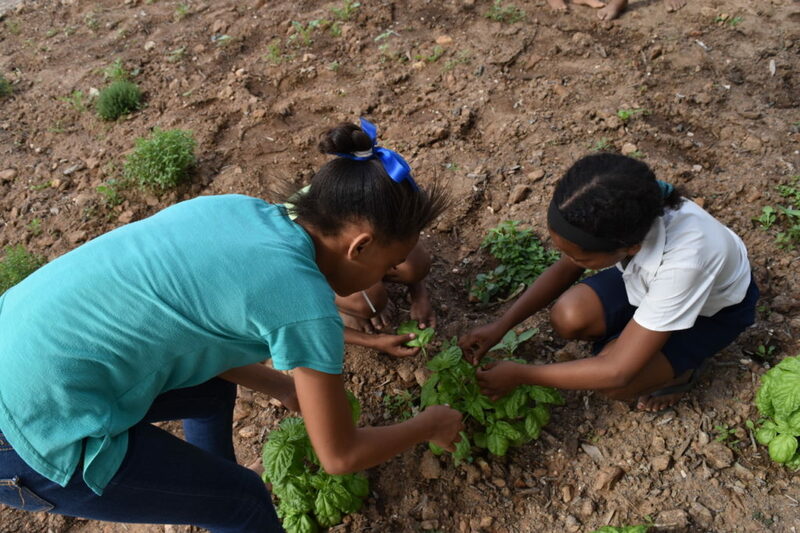 Tiny tots on SAFE farms are in for a daily treat that will keep them healthy and happy thanks to a 2019 veggie garden programme on all SAFE farms. “When it comes to learning, the environment, teacher and materials available are all vitally important; so is the child’s ability to learn. “Here is where food plays a major role, as hungry children find it harder to concentrate and participate,’ says Katy Johnson who is married to Zwartfontein farm manager, Frankie. The SAFE vegetable garden initiative, which has begun on Zwartfontein, will be rolled out to all SAFE farms this year. “The idea is to provide the crèche children and aftercare classes with a nutritionally packed vegetable salad, soup or stew every day. This is in addition to their lunch boxes packed by their parents, which are often very small and sometimes non-existent,” says Katy. SAFE wants to take this initiative one step further by rolling out a “toothbrush” initiative at the creches as well. “For many of us, fruit, vegetables and toothbrushes are everyday items that we often take for granted as part of a healthy lifestyle. We want to extend that expectation to our workers’ children, ensuring they have good oral hygiene and at least one nutritionally packed meal a day”. The crèches play a key role, providing a safe and nurturing environment for preschool children while their parents work. 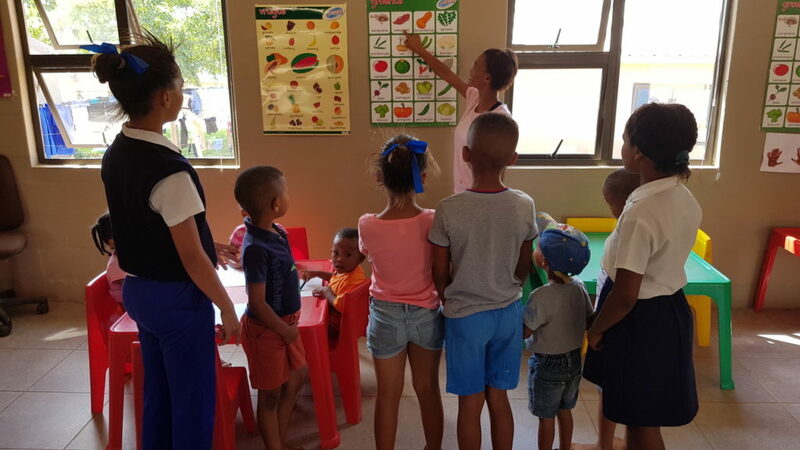 The crèches also are a fun learning environment where the children can become “school-ready” thanks to the constantly updated educational curriculum provided to SAFE by pre-school teacher, Ingrid Broodryk. According to Ingrid, the emotional, social and physical development of young children has a direct effect on their overall development and largely determines the adults they will become. “That is why investment in very young children is essential for their future well-being – as well as the communities in which they live. Ingrid has set up programmes for the two crèches at SAFE’s Bonathaba and Zwartfontein farms near Wellington, that SAFE is replicating on its farms around the country. *Katy and Frankie moved to Farm Zwartfontein in September 2016 when Frankie was appointed Citrus Manager. While her primary job is looking after their two children, Ethan (4) and Aidan-Elise (1), Katy also runs her own business. A biologist by training, with a Ph.D that merges biology with social sciences, Katy moved from the UK to South Africa in 2008 to follow her dream by working as a wildlife filmmaker in Kruger National Park. After 6 years of amazing adventures, becoming a Mum put a stop to beating around the bush for weeks on end. Katy now works for Forestry South Africa (FSA) communicating forestry through their public website www.forestryexplained.co.za and their pesticide-related website www.tipwg.co.za. She also writes digital marketing pieces for the fitness industry and has a jewelry start-up business, Dewdrop Jewellery, that is beginning to take off with a friend. Growing Green Project was an unofficial term we used as a play on words, that we were growing greens and the tunnels were also green because we used recycled materials. I think as we don’t have that included anymore, we should just keep it as veggie garden programme as this is something everyone will understand.